When I was twenty-three, I changed jobs, I changed time zones, and I changed names. My birth name just didn’t fit. I knew so many other Michaels growing up that even subdividing the name into Mikes and Micks didn’t go far enough for us to tell each other apart in conversation. I don’t remember my friends ever just calling me just Michael or Mike; I was always “Michael Wood.” Then my sister married a Michael. So I was more than ready to drop the name by the time I moved to California. I just didn’t know what to put in its place. I wasn’t interested in swapping one omni-present name for another — Philip, Douglas, Steven — and didn’t want something so ostentatiously unusual no one could ever pronounce it, still less believe that anyone nowadays could really be named Zebulon. Whatever the new name was, I didn’t want it to be cut up into nicknames. It had to be something short, unique, and personally meaningful. 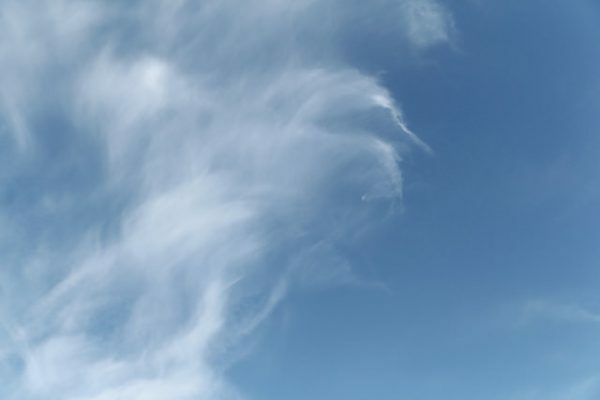 I settled on Cirrus, the high elevation cloud, because I like classical nomenclature and it was also the name of a minor character in one of my favorite childhood books. So there was quite a lot going for it, and once chosen, it fit very well. It’s been almost ten years since I left that job, and while my former co-workers left their nature names behind, I’m still Cirrus. I’ve never gone back to my birth name, even though I’ve also never legally changed it. I don’t really feel that I need the government to sign off on this particular and very personal choice, not to mention it’s much more than I care to shell out right now. Just to file a petition for a name change costs $435 in the California court system. If the petition is accepted for consideration, I would then have to pay to run an advertisement of the name change hearing in advance of going before the judge. This can cost $30–$100. Should the court approve the change of name, I’d need to get at least one $25.50 certified copy of the name change from the court system so I can apply for a new driver’s license, passport, and Social Security card, each of which come with their own administrative costs. Going through all that bother just doesn’t seem worth it when I can just ask people to call me Cirrus. This is what’s known as “common use” and it’s a hell of a lot more cost-effective. Most everyone has been fine with it. My friends call me Cirrus. My editors call me Cirrus. My family calls me Cirrus. My parents… well, they don’t call me Cirrus, but at least they don’t call me Michael anymore. They rarely called me Michael even when I was a child, though. My mother calls me sweetheart, my father calls me son. I don’t remember either of them ever calling me Michael unless I was in trouble for something. Still, they, or at least my father, took it harder than my coming out as gay, which passed as a non-event. “I feel so rejected,” I remember my father saying. “We put a lot of thought into what we named you.” I explained that I had put a lot of thought into it too, which was why I was leaving it behind. Now when introducing myself, new people often try to guess where the name came from and ask if it’s Irish or Persian. I answer with a half-truth and say that it’s an old Roman name, as though my parents had consulted a baby-name registry from the days of the Republic, and I might as easily have been named Cicero or Quintus, or Cirrus Lucius Gaius Andronicus when fully extended. This isn’t quite true, though. Cirrus is Latin, but it was never a name in antiquity. It just means curl, or fringe, or tendril. When working with new editors, people who have to know my legal name, I tell them after submitting my first invoice that owing to the abundance of Michael Woods in the world — even just locally — I prefer to go by Cirrus, as it’s more professionally distinct. But please, I ask, address all paychecks to my legal name. If they, or anyone, asks for the full history — or if I feel like telling it — I’ll go through the whole origin story. If they argue that Cirrus is not my “real name” I explain that while it is neither my birth name nor my legal name, it’s plenty real enough. After all, so far as I’m aware Caryn Elaine Johnson never legally changed her name to Whoopi Goldberg. If it’s good enough for Whoopi, then it’s good enough for me. As a name, there’s nothing wrong with Michael. It got me through grade school and college, but to go back to it now would feel in some way like trying to fit into a sweater I’ve long since outgrown, or picking up some childhood activity that has completely lost its appeal. Thumb-sucking, for example. It was functional. An earnest but incorrect identification. And I’ve moved on. I don’t know whether in choosing my name I chose rightly, or if I’ve grown into someone I would not otherwise have been. But I do know that being named as I am now, Cirrus feels right. It’s who I am. That’s me. I would still have been gay had I stayed Michael. But I don’t know that I would be as out as I am. Or as honest with myself. Michael had a lot more expectation hanging over him. Cirrus needs only to live in truth. He certainly knows a hell of a lot more about clouds. Cirrus Wood is a bike messenger and freelance writer/photographer. He lives in Berkeley and works in San Francisco. Photo credit: MarcinM_, CC BY 2.0.